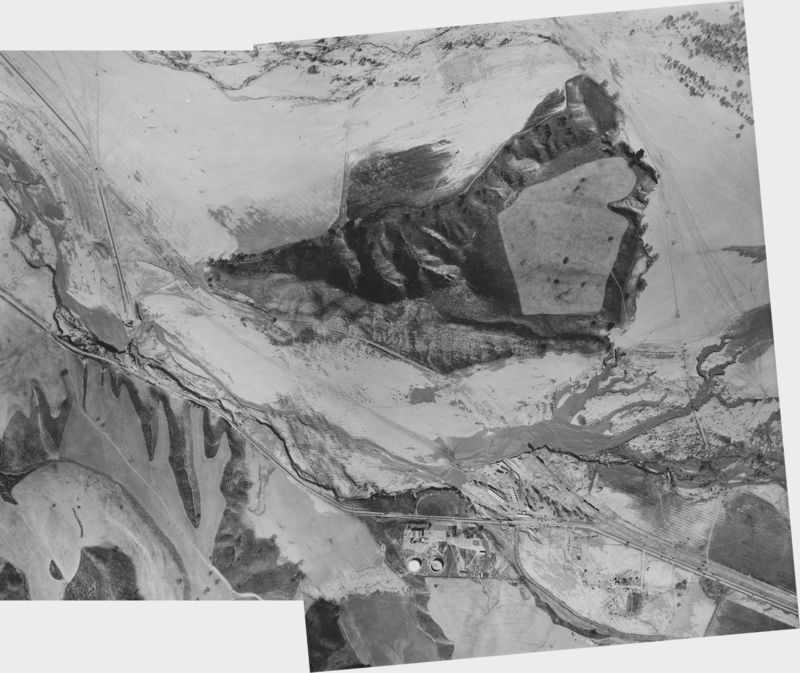 Composite of two aerial views of the floodpath at Castaic Junction. RO2803i: 19200 dpi jpeg; composite of RO2803g and RO2803h. Online image only.